Introducing the new Perfecto Lens Edger, the PE-4. 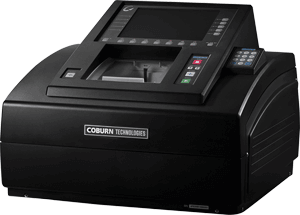 Part of Coburn’s new versatile and efficient Perfecto finishing system, the PE-4 Lens Edger is perfect for small to medium sized labs looking to meet the high demands of lens finishing. Featuring a “Digital Pattern Layout” tool and advanced 3D technology, eye care professionals are able to easily finish their own lenses in house. Contact us today to learn more!